It was freezing cold here and my kids have been stuck indoors for three days. For an active six year old and silly willy four year old this is not easy. Kids got to run and play in the fresh air. Staying indoors makes us all a bit stir crazy. 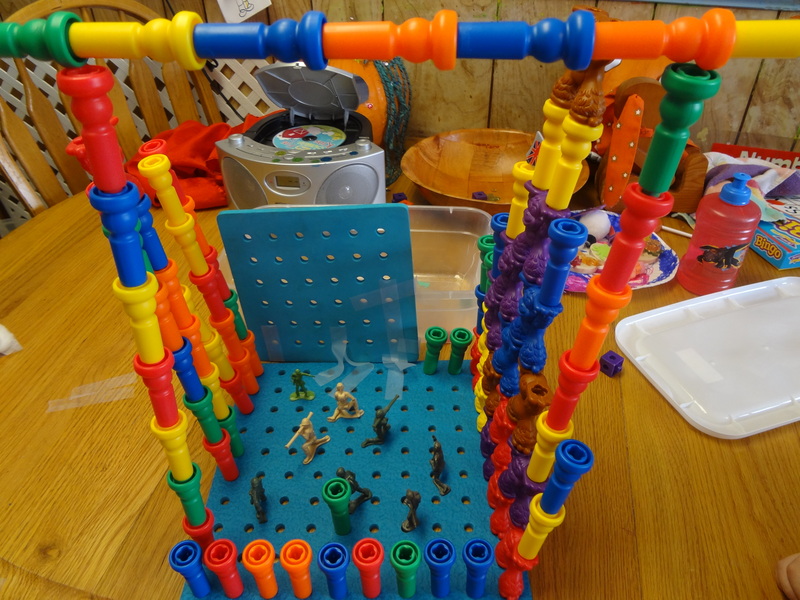 But I’m determined to make the best of these days and come up with creative indoor play. I’d love to share with my readers what we did at the Brown House. Maybe there is something you might like to do with your kids this week. Because its going to be freezing for a few more days. 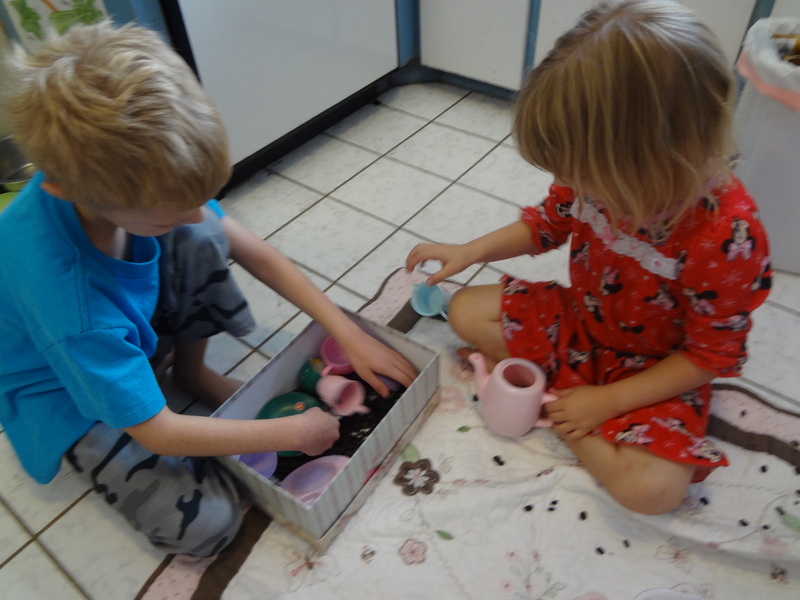 We started our morning out with our sensory box. 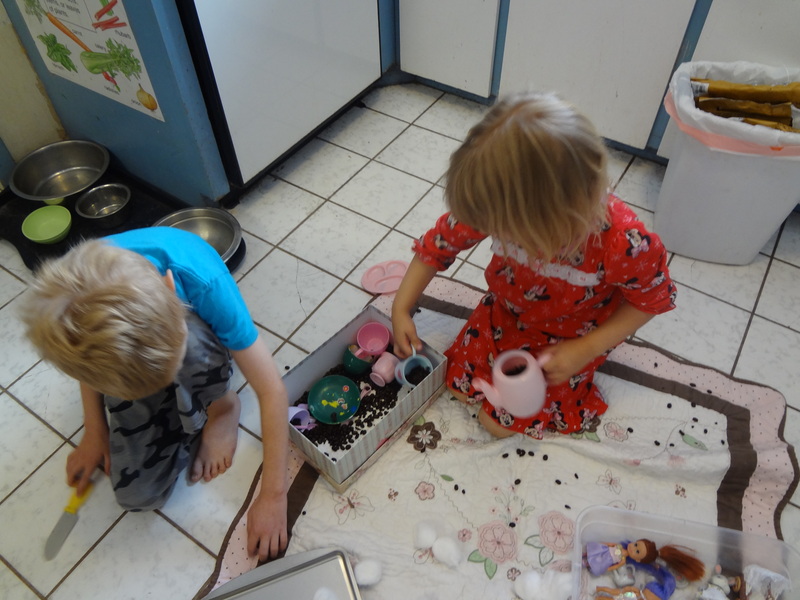 I gave them a special flower box with coffee beans and play cups, spoons, and tea pot. I also put out a pan with cotton, and pumpkins. Justin made coffee candy, Kaylee made coffee cake with pumpkin decorations and coffee. We had a little party and stayed warm! 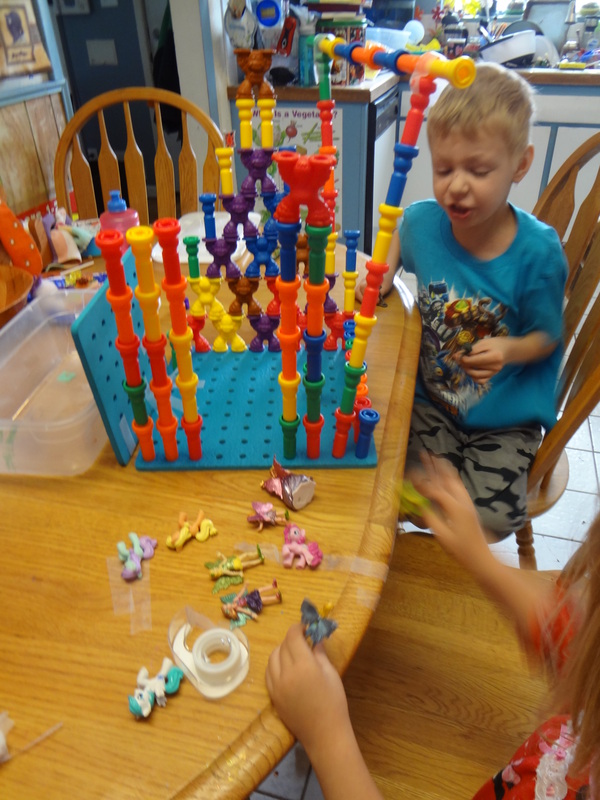 After our wonderful coffee cake the kids made a castle together out of pegs. 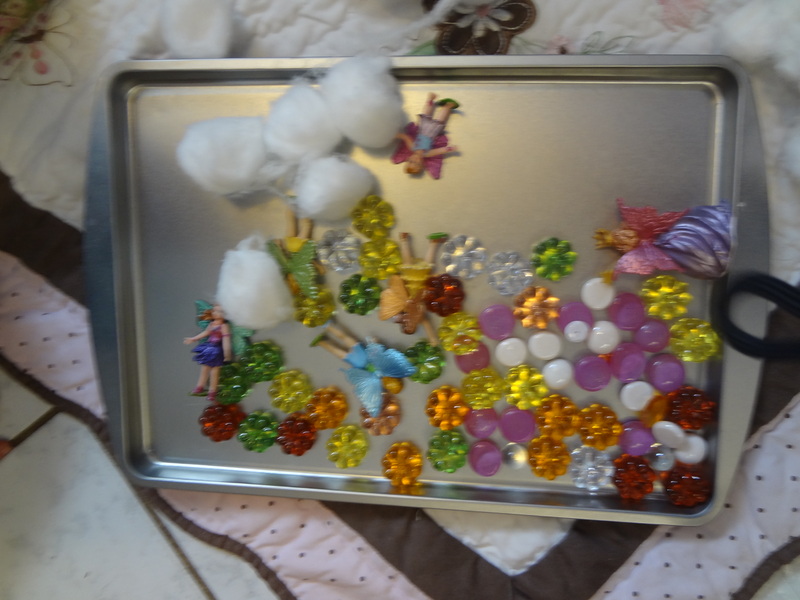 Justin had army soldiers and Kaylee had fairies with little ponies. Afternoon came, quiet time over, and its hot chocolate time. 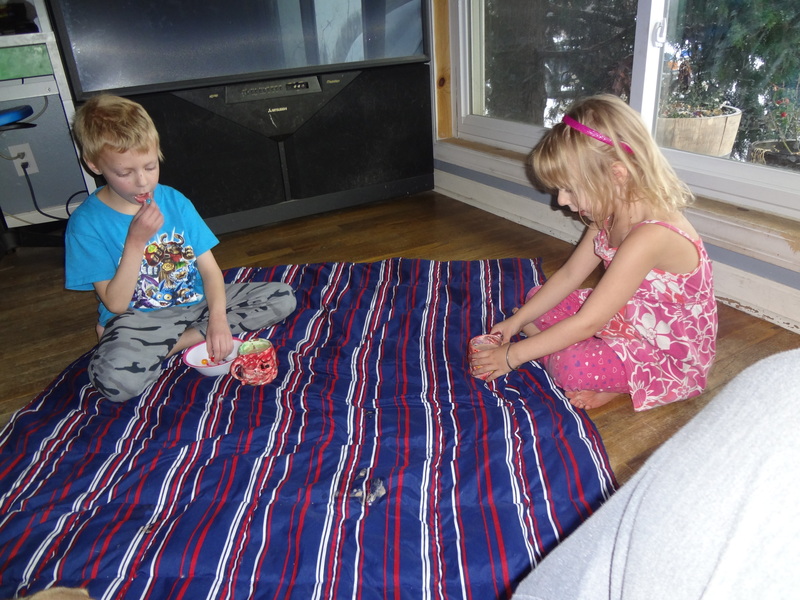 Made a little indoor picnic on the floor for fun. Game time was the best time. 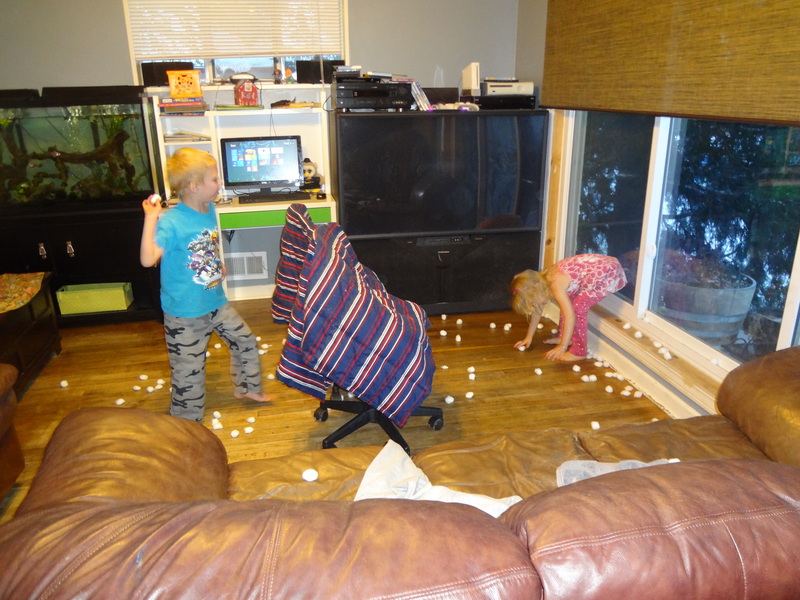 Kids threw cotton snow balls at each other. I divided living room up in half with blanket and chairs. When the timer goes off the kid with the less amount of snow on their side wins. 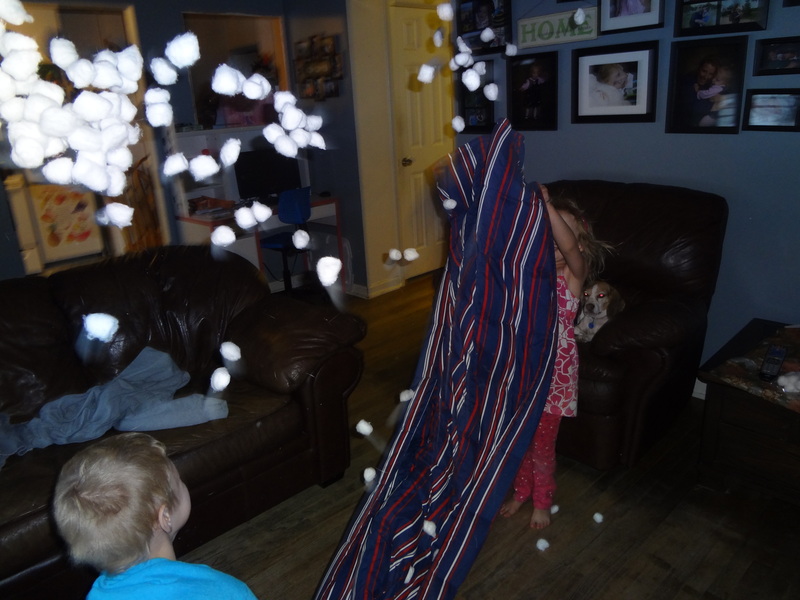 Blanket turns into a parachute that throws cotton snow balls up in the air. When the cotton lands on the ground the kids have to quickly throw the snow back into the blanket before the timer goes off. Snow that’s left on the ground goes back into bag. Game keeps going until all the snow is in the bag. So if you want to keep playing you got to make sure your get all the snow on the blanket. The kids never get all the snow back on the blanket each time. They love bouncing the snow off of blanket. They played over and over again for at least 20 minutes. Well readers stay warm and have some indoor fun! 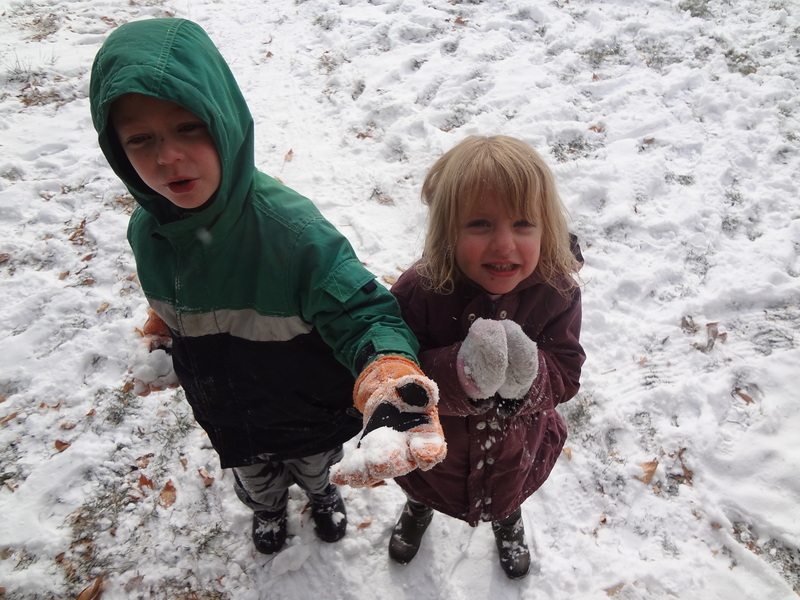 Maybe share something fun you do with the kids on freezing days like today. Wow! That was very fun reading! I can imagine the fun in real life! Thanks for sharing your day. It is cold here too. Stay Warm! Thanks for coming by. It is nice to have a fun read every now and than. Stay warm!!! Fun day! Great ideas to try this weekend with my family. 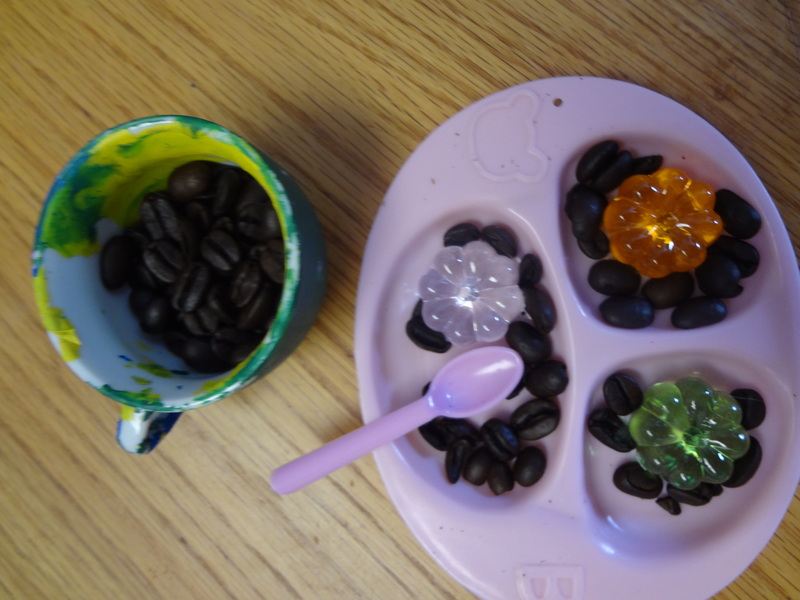 Ellie had fun playing with her coffee beans too. Great idea! 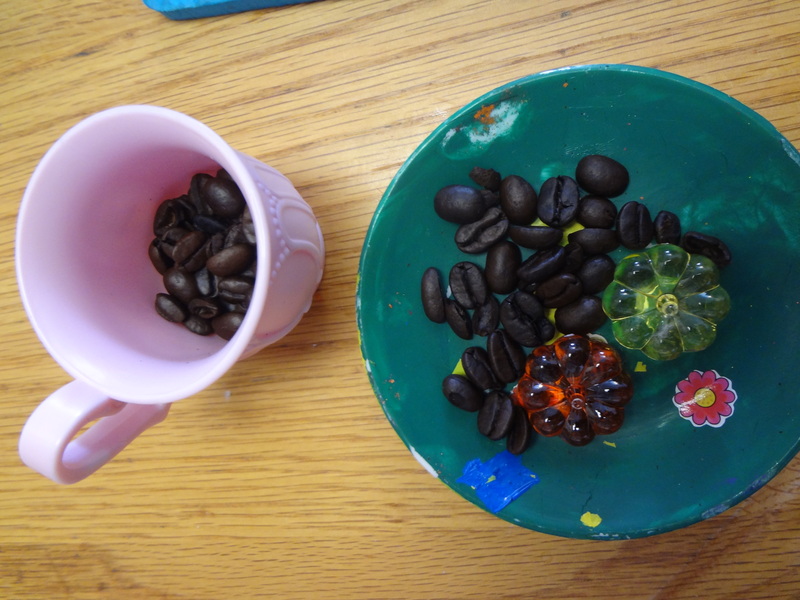 Hi Amy, I will never forget the day that Ellie and Kaylee played with the coffee beans at my house. So much fun!!! Stay warm my friend and I’ll see you soon! wow! what a fun mama! I am honored that you are spending time reading my posts. 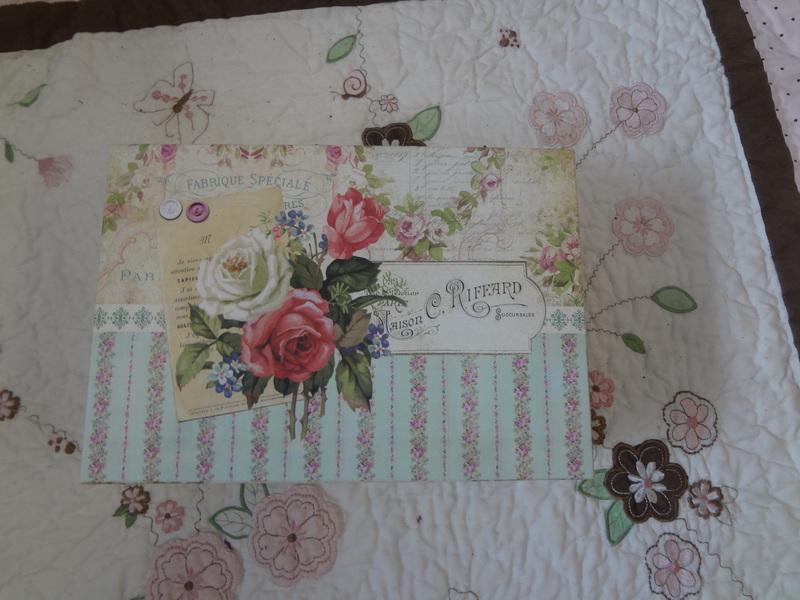 It’s nice to have a new person on my blog to share my posts with. I see you are starting a blog. Is that right? Love to hear more about it, if you want to share here. There is just so much happy going on here! Way to go super mom! Thanks Natasha!!! I get so excited when my kids are engaged in the material that I set out for them. It makes my day. It makes me feel like I have given them an opportunity to be themselves. Looks like great fun for the kiddos. That’s quite a nice castle they built there! You are a great moma.